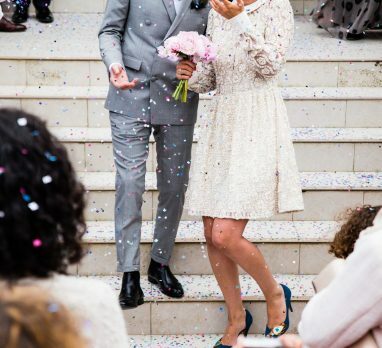 Whether you’ll be living with your soon-to-be spouse before the wedding, or you’re waiting until after you’re officially married, transitioning to a co-habitating arrangement is not easy. And if you’ve been living on your own for a while, this new way of life can be even harder. Blending two independent lives, styles, financial statuses, and even ways of organizing and cleaning can take its toll on a relationship. 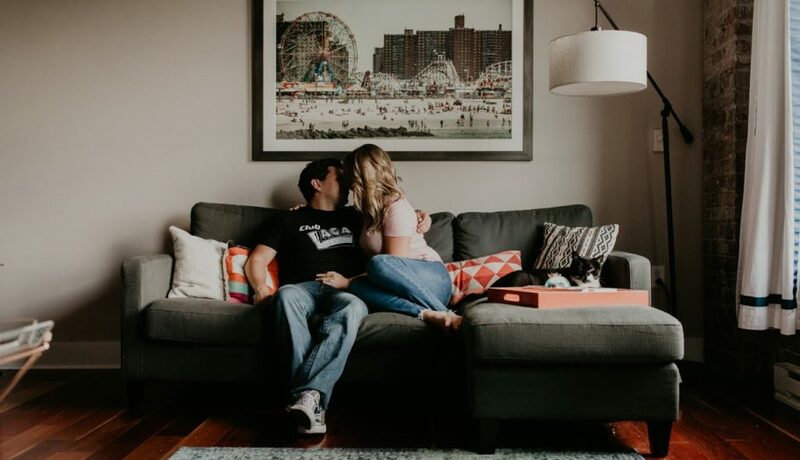 To make the process a little less of a nightmare, here are seven tips for anyone – especially newlyweds – preparing to move in together! If you ignore all of the other living together tips in this post, at least remember this nugget of wisdom. Someone once told me that “Marriage isn’t about how many times you win. It’s about how many times you lose.” The point isn’t to see the relationship as a game, but rather it’s a reminder that marriage is about sacrifice and partnership. Deciding whose bedspread to keep or which style couch to purchase isn’t worth an argument. Be prepared to compromise and “lose” some battles. Your relationship (and your partner) will thank you in the long run. It’s no question that the secret to any great relationship is healthy and honest communication. This becomes even more important when merging two daily lives together. Swallowing opinions and burying feelings is a sure-fire way to build a wall between you and the other person. So, if you dislike their taste in furniture or would reallllllly love to hang that piece of art even though they hate it, speak up! You’re just as much a part of this relationship as they are, which means you get equal say. Just keep it respectful, kind, and productive and you’ll be golden. Running out of room for your things? 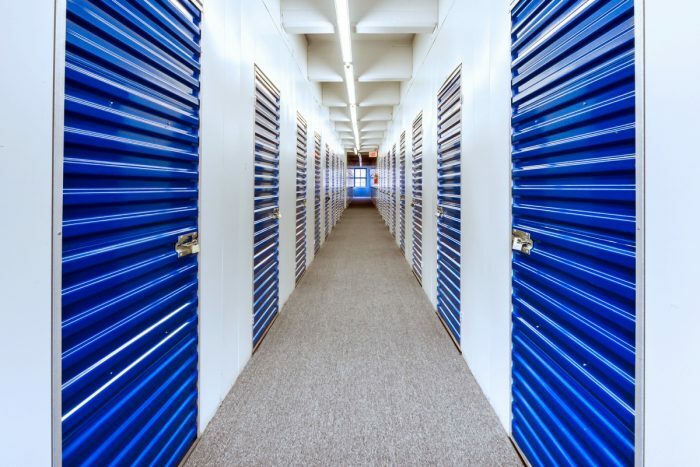 Until you decide what you want to do with it or until you purchase your dream home, a self-storage unit just might be the solution. 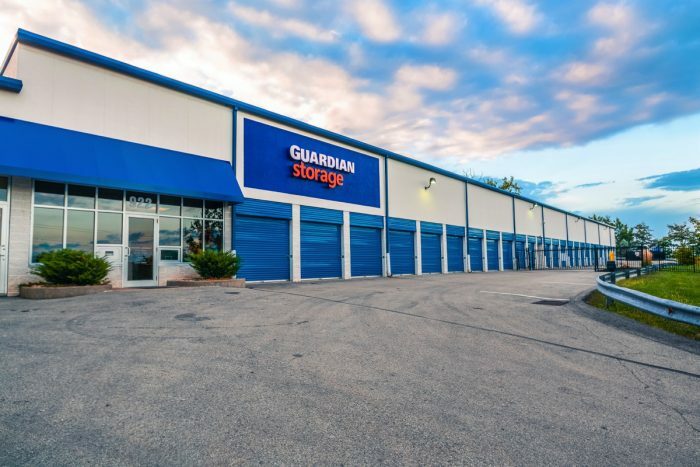 Guardian Storage has been offering the most convenient, secure, and reputable storage solutions to the Pittsburgh area for over 30 years. At every one of their 17 local properties you’ll find climate-controlled units ranging from 25 to 300 square feet, 24-hour surveillance, covered loading docks, helpful full-time staff members, free moving carts and dollies at your disposal, and even packing and shipping supplies. With “peace of mind” being their top priority, you can rest easy knowing that your belongings are in excellent hands until you’re ready to have them back in yours. 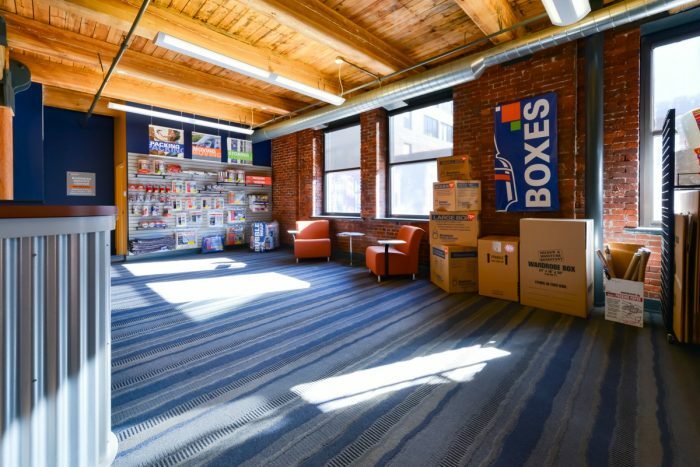 New to self-storage and don’t know where to start? Here’s how to choose the perfect storage unit for you. 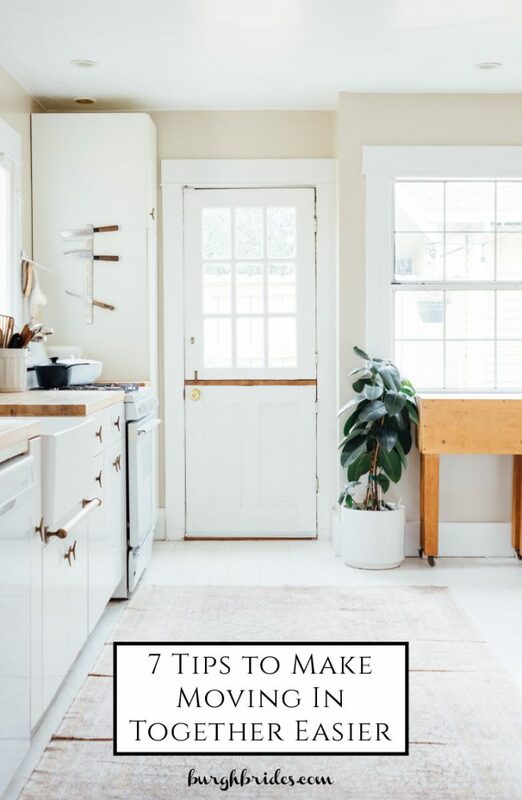 You don’t need two sets of towels, two toasters, or two coffee makers. Take an inventory of who has what and then consolidate! More “stuff” means more clutter and more clutter means more stress. Embrace the minimalist life and only keep what you use or really need. 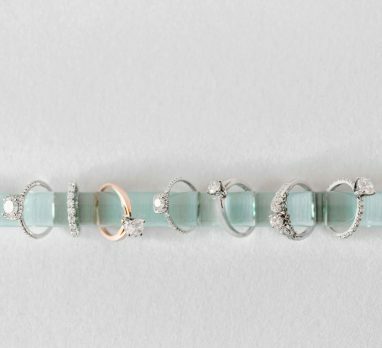 Better yet, if the items are well past their prime, add a request for an upgrade or replacement to your wedding wish list! 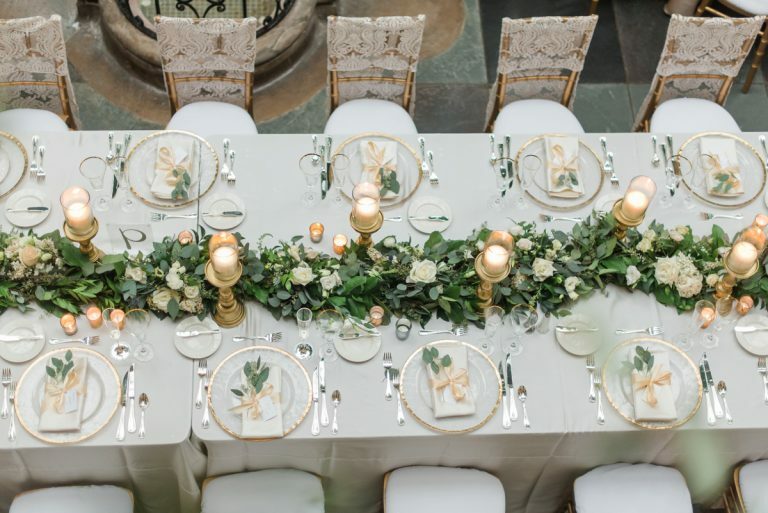 Don’t forget about these big ticket items you might not think to add to your wedding registry and this one MUST HAVE every newlywed home needs! After you’ve consolidated, get rid of anything that didn’t make the cut. Host a yard sale, put it on Craigslist or donate it; whatever you do, just get it off your hands. Items that don’t bring you joy or serve a purpose have no business in your home. To make the most out of your unwanted goods, consider donating them to one of the 40 community and non-profit organizations that Guardian Storage supports. Throughout the year, they host various donation drives and community events where they happily accept office and school supplies for The Education Partnership, gifts for Toys for Tots, and at certain times of the year, items for Habitat for Humanity, Bethlethem Haven, and local food banks. To find out when and where these events take place, follow Guardian Storage on Facebook, Twitter, Instagram, Pinterest, or LinkedIn. No one likes to talk about money but it’s a necessary evil for anyone living together and sharing expenses. Don’t be afraid to have a hard, honest conversation about finances. You need to be on the same page when it comes to bills, savings, and splurges, and the only way to get there is to talk about it! Remember that this whole process is happening because two people fell in love! Moving in with your significant other is supposed to be one of the most exciting times of your life. Try not to let the stress of moving and co-habitating weigh on you too much. Remember to laugh at the chaos, lean into the craziness, and enjoy every single moment of your life together. What are you most looking forward to when finally living together? If you’ve already made the leap, what advice would you give to other newlyweds moving in together? If you have other tips for couples moving in together, comment below! For more home and storage solutions, be sure to check out Guardian Storage! 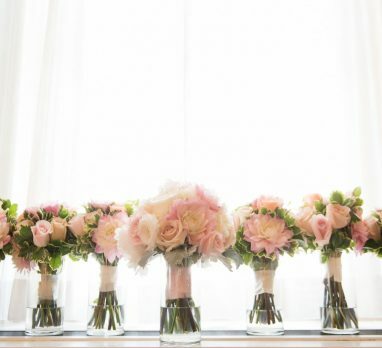 A HUGE thanks to Guardian Storage for teaming up with Burgh Brides to bring you this post! While I was compensated for my work, all writing, thoughts, opinions, and love for the brand are my own. You can read my full sponsored content disclosure policy here. i want one for my own private she-shed! haha! Definitely talk about finances together – it’s a huge part of a successful marriage! A hard but very necessary conversation!!! Great tips!! Moving in together is a scary experience but can be so much fun! the best part of being married!! the kitchen sponge LITERALLY makes me gag. i refuse to touch it. i prefer to use the scrubbers with the handles. this has been an argument in my house too hahaha! haha i wish this post was around when I did the moving in together thing 7 years ago too! it was a transition, for sure!!! Such great tips! You can never have enough space! I can’t imagine someone moving into my house with me. We’d definitely need a storage unit! stuff accumulates quickly! we’re in the process of moving and i can’t believe how many THINGS we manage to collect in just 7 years! hahahaha! still great advice today! thanks! i hope lots of couples find it helpful! Nice tips you share on this blog. Moving is not an easy work. It’s a very helpful moving tips. Thanks!